Happy Wednesday ! Hope u all doing good. 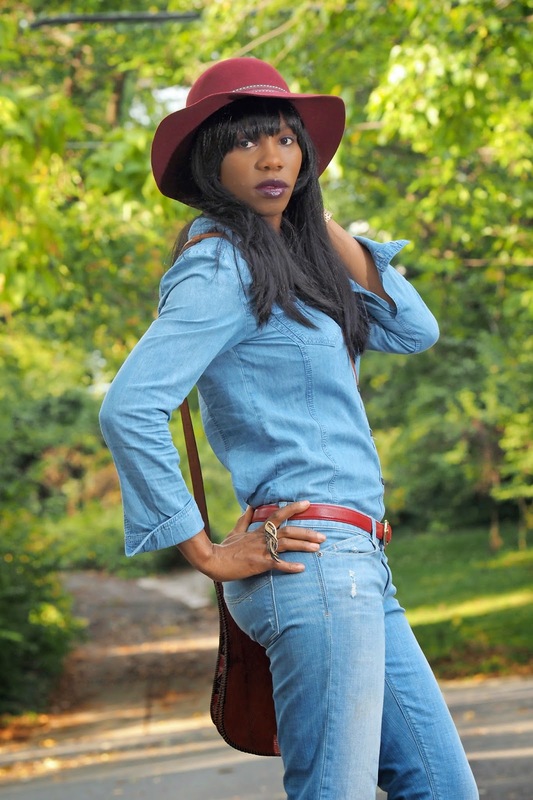 On this post am wearing Denim on Denim,and for a fall look I opted for a burgundy Fedora Hat. 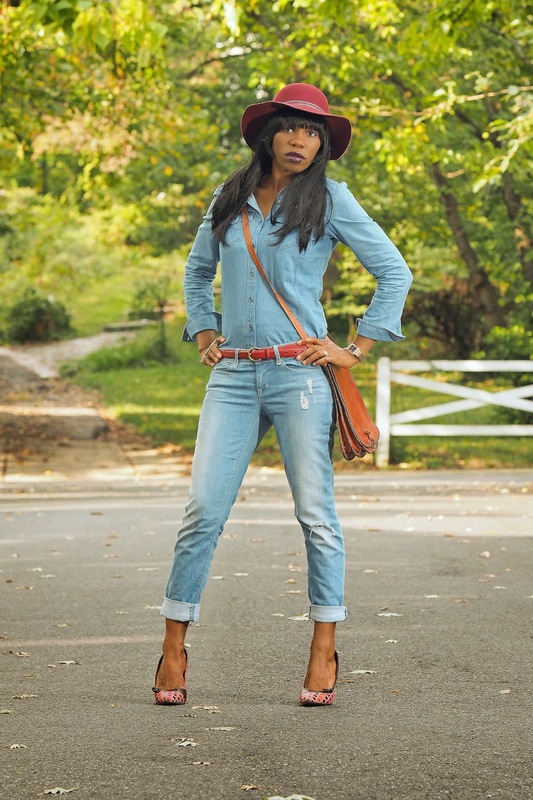 No woman is complete without a Denim. Denim can never go out of fashion instead it's a take over. Demin can be worn all season and all year long. 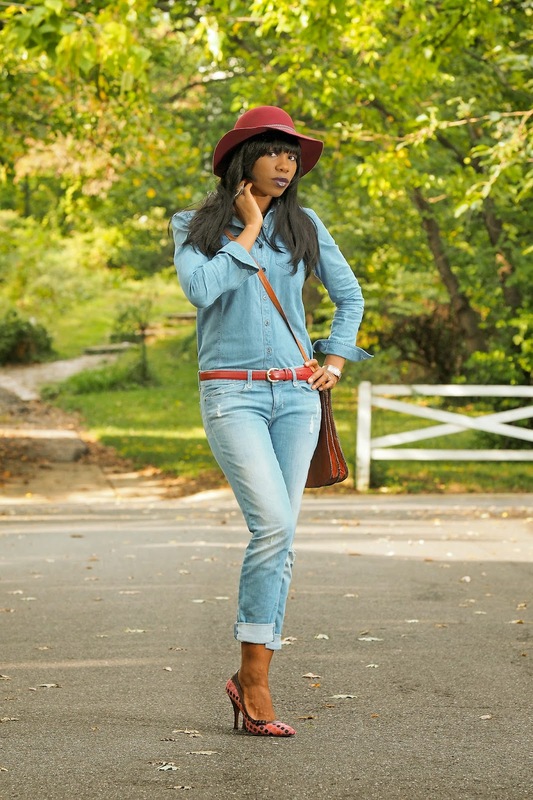 For an edgy denim look , you need to be creative and ready to take the risk. Have a great week . Animal Prints styled in two Way.